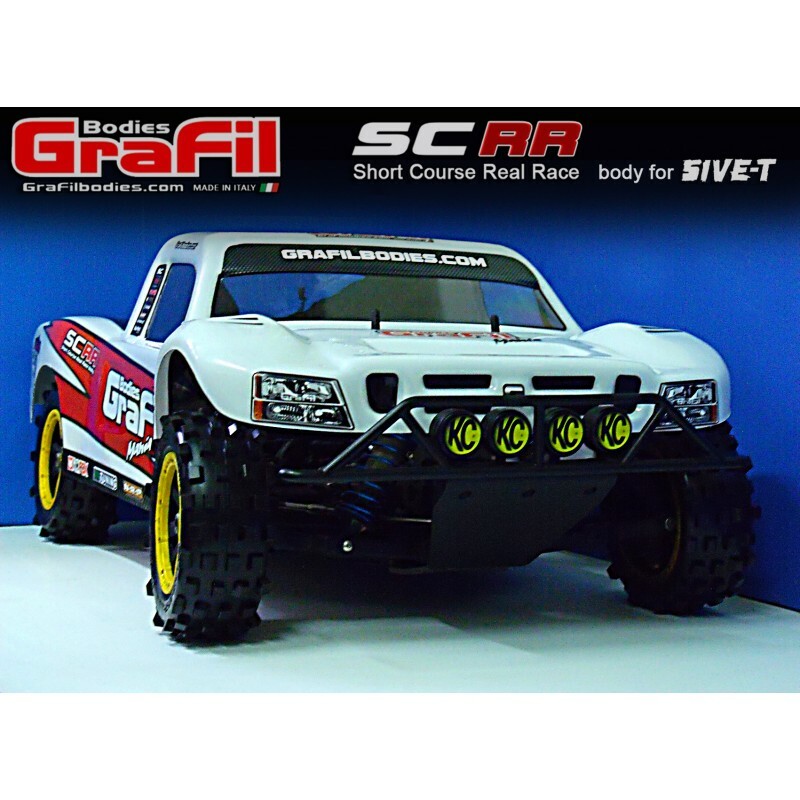 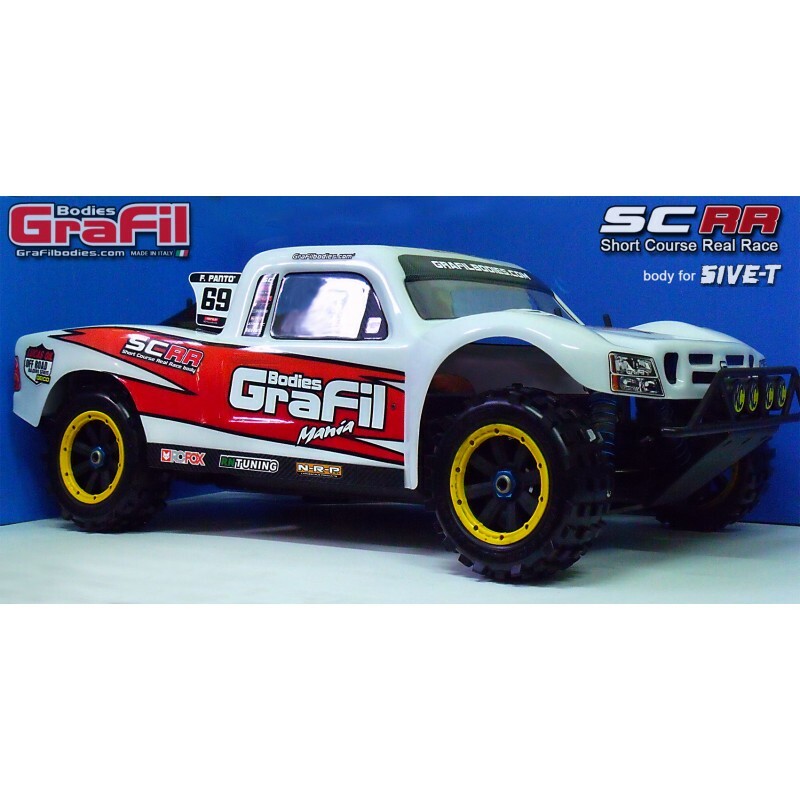 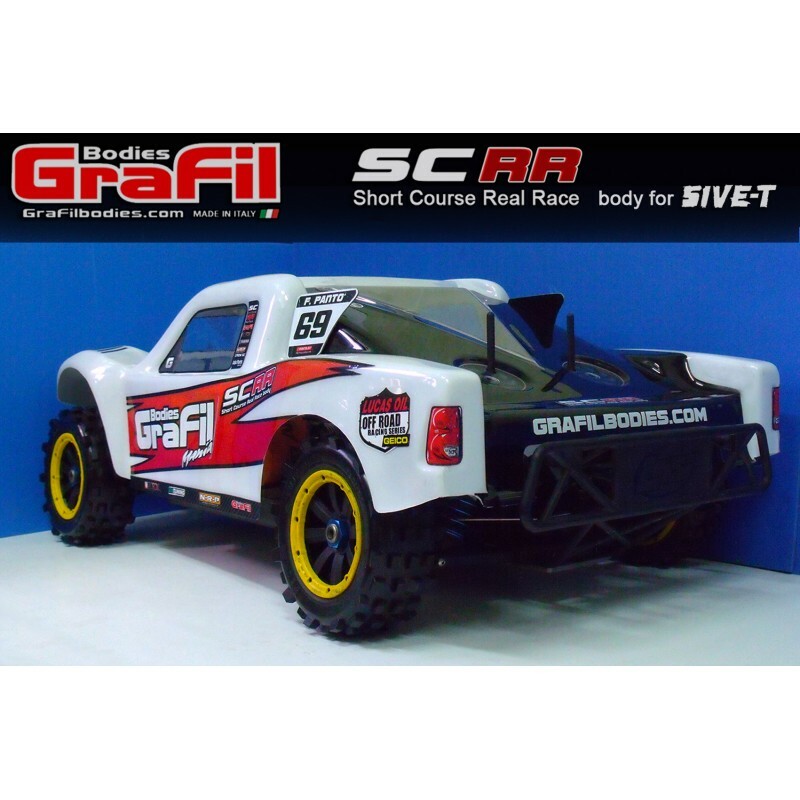 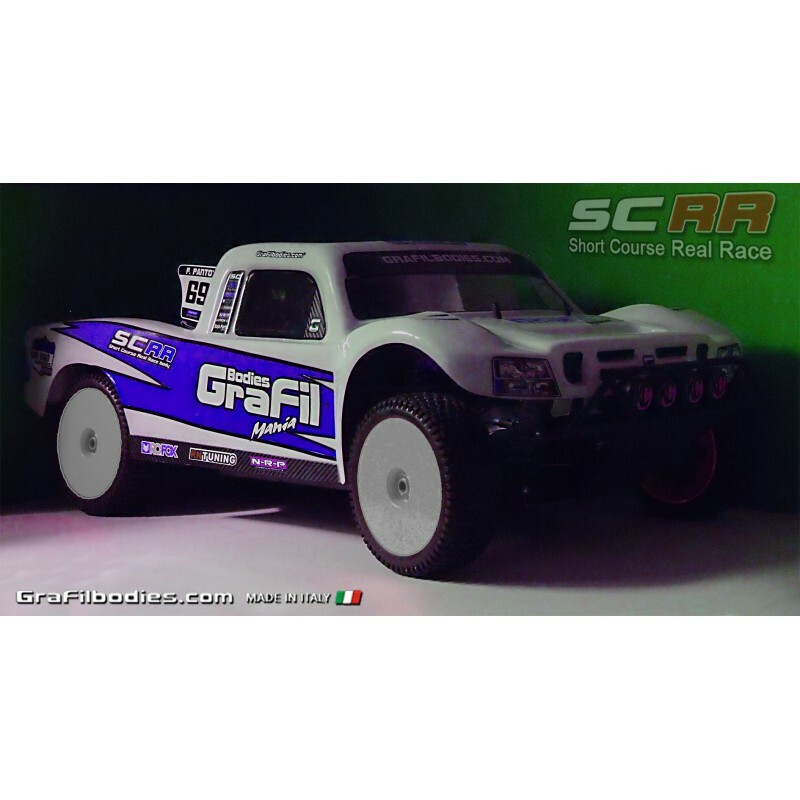 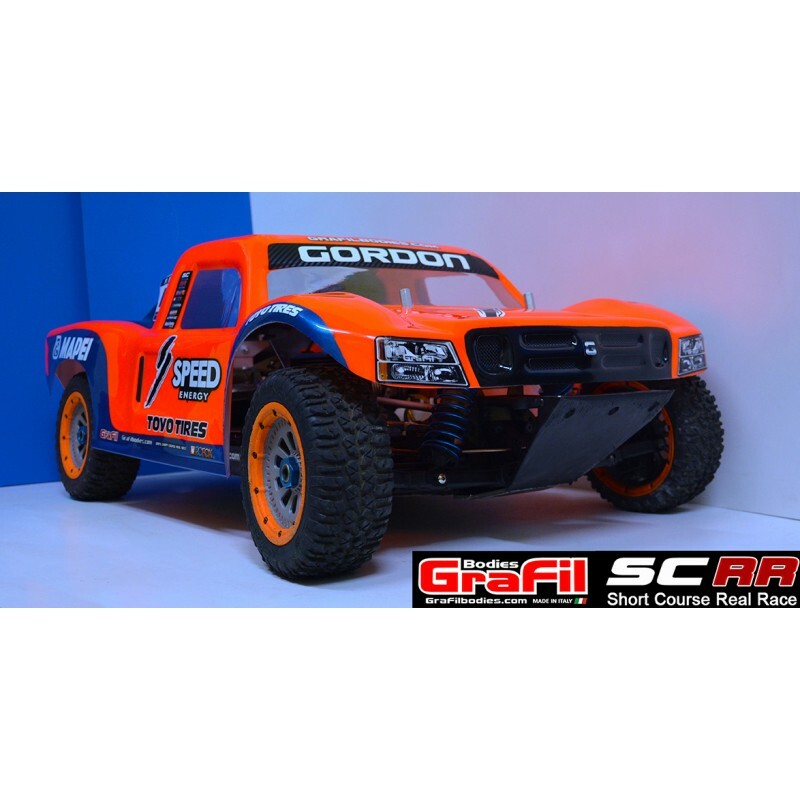 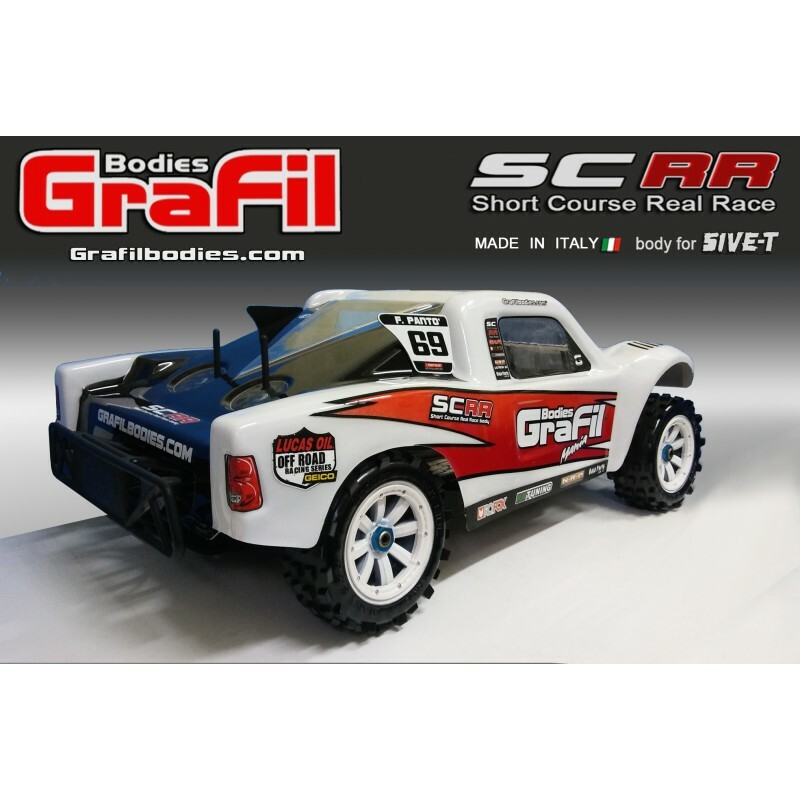 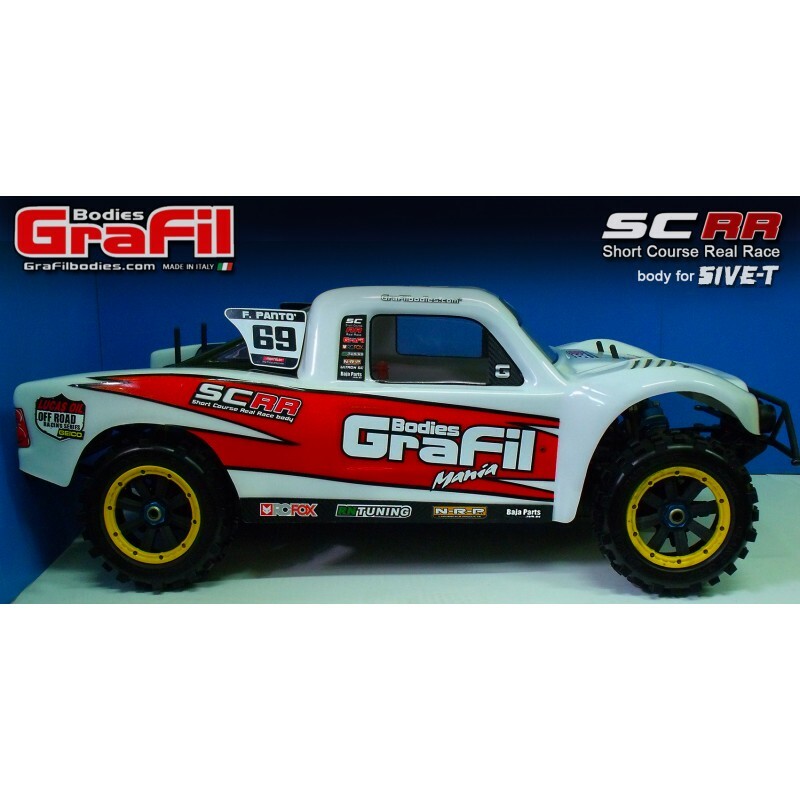 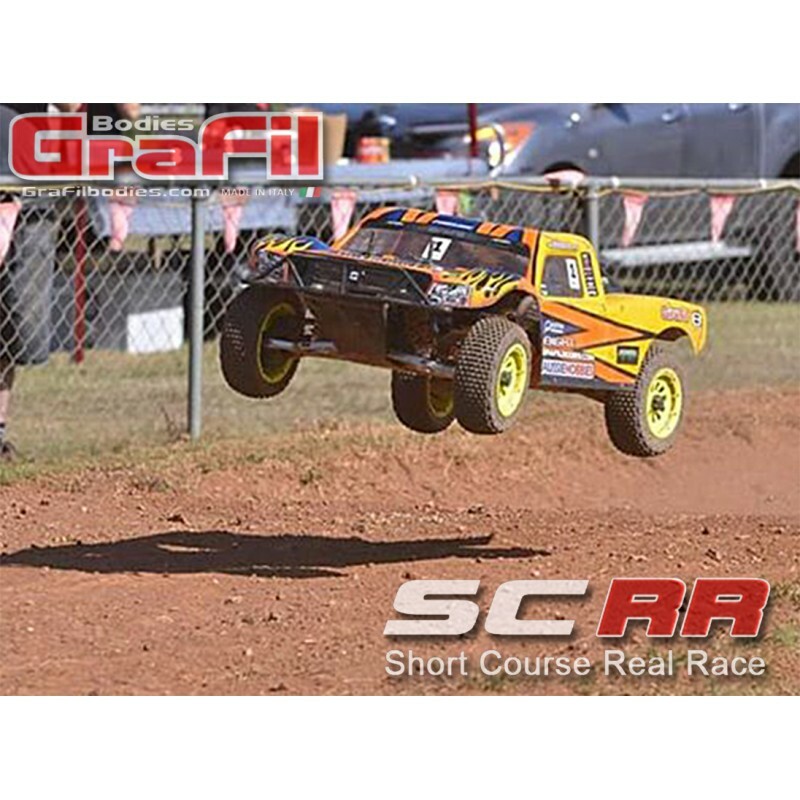 SCRR Short Course Real Race bodyshell !!! 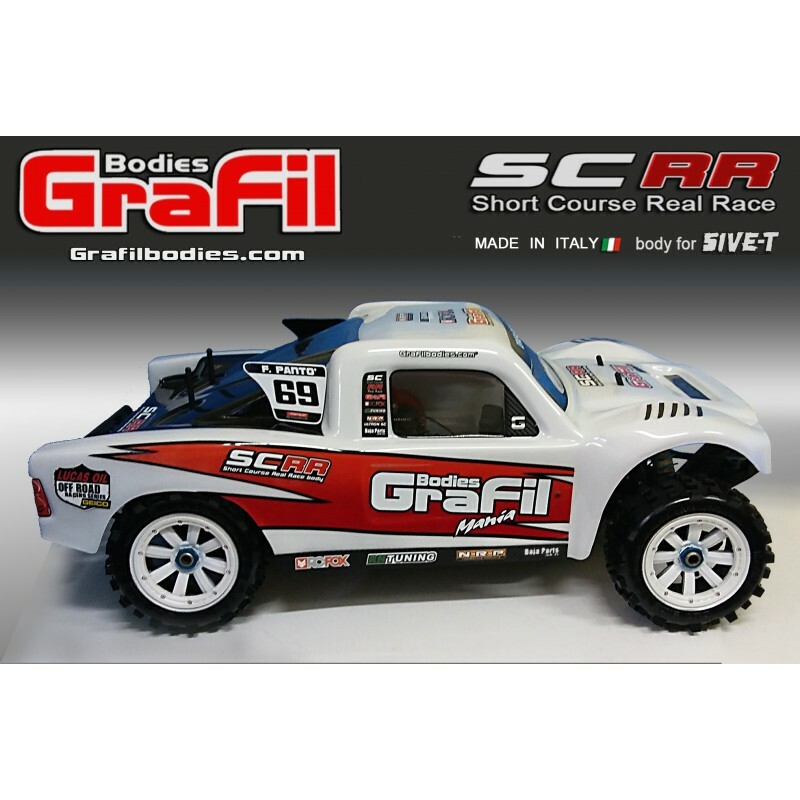 We are so proud to present finally our SCRR shell !!! 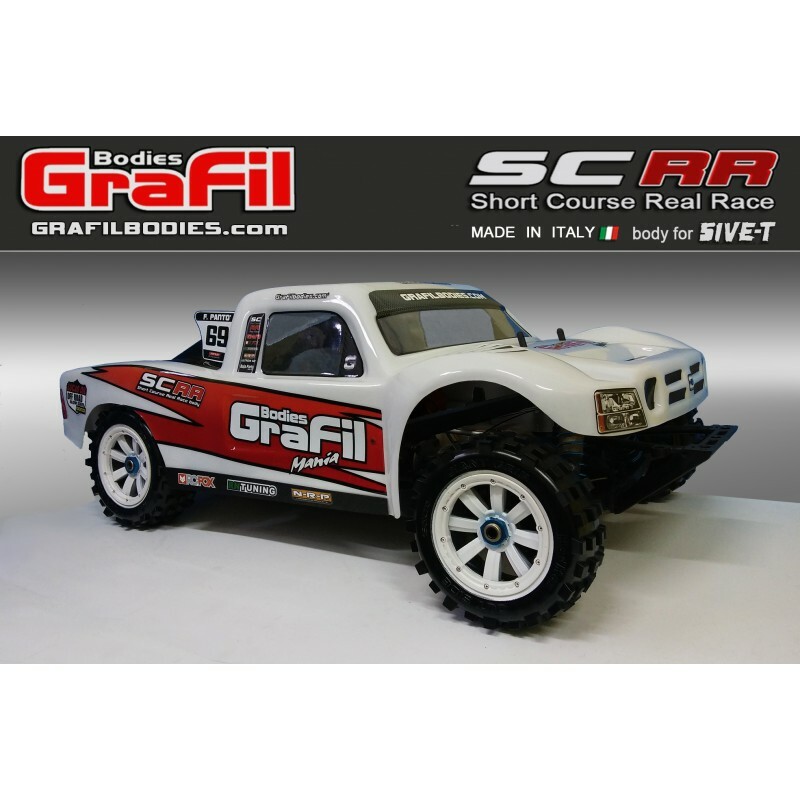 It's a one piece very big race body designed closer to the real SC trucks, made from 2mm brand Bayer Makrolon polycarbonate sheets. 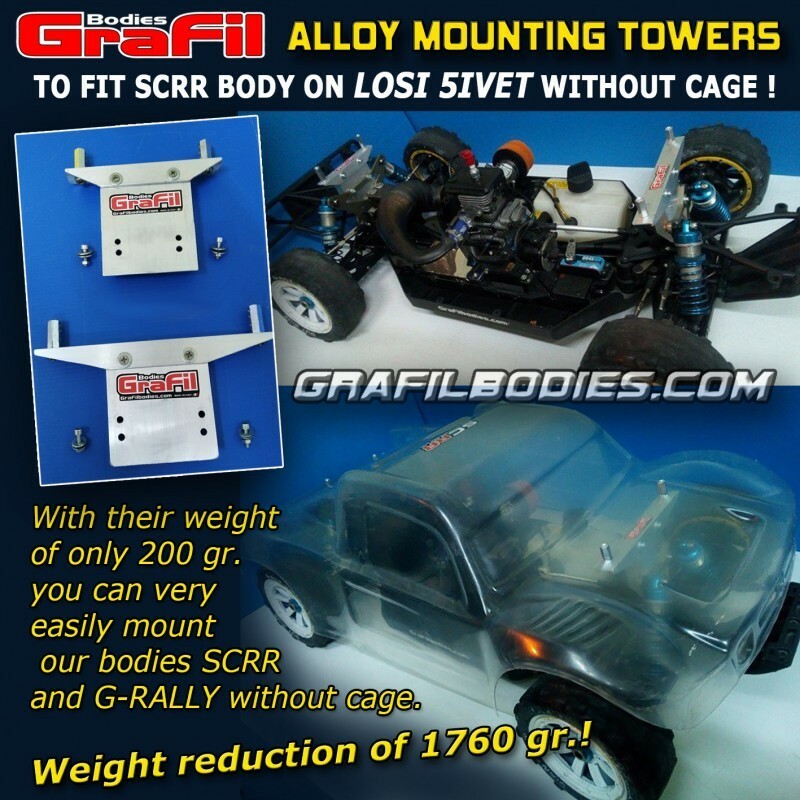 It will be supplied clear with protective white film, uncut, with paint mask, side bottom reinforcements and with pre-cut decals set. 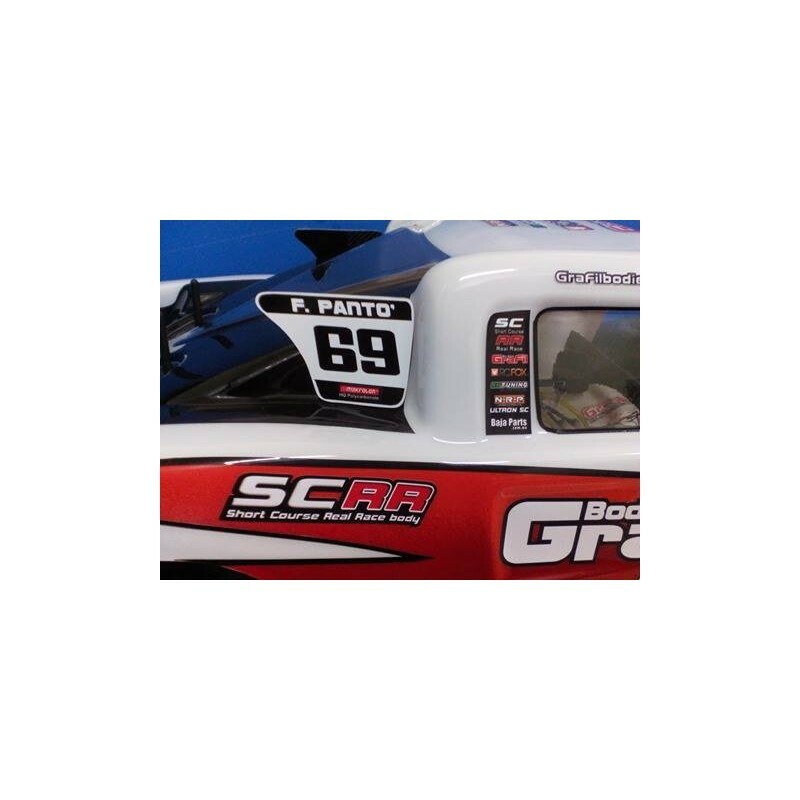 The side number plates are optionals.